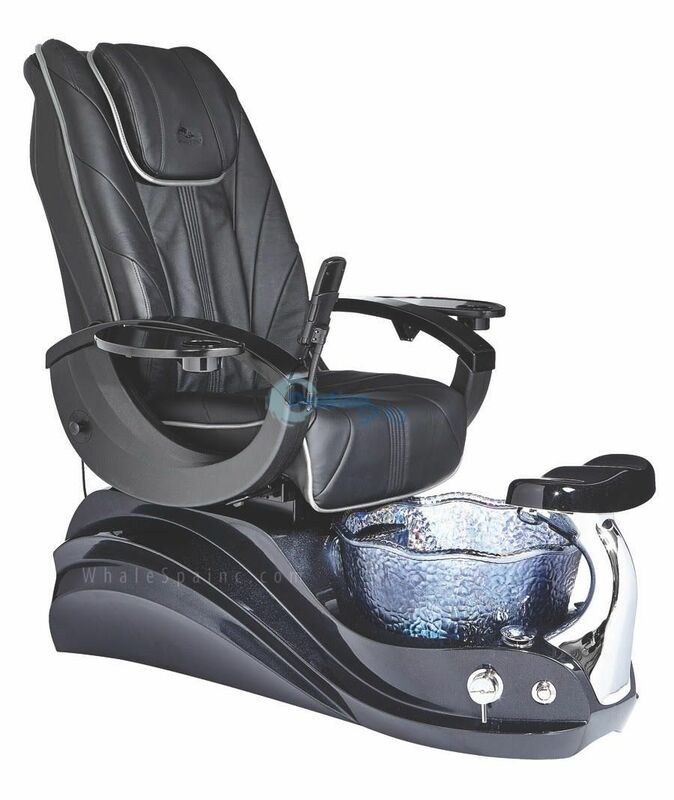 Free Shipping - Our vision has always been to create the most beautiful, highest quality pedicure chairs and furniture on the market. Proudly introducing Crane. Featuring a unique floral shaped “mother of pearl” iridescent crystal basin, dual LED lights, and body hugging contoured genuine Italian leather seats. 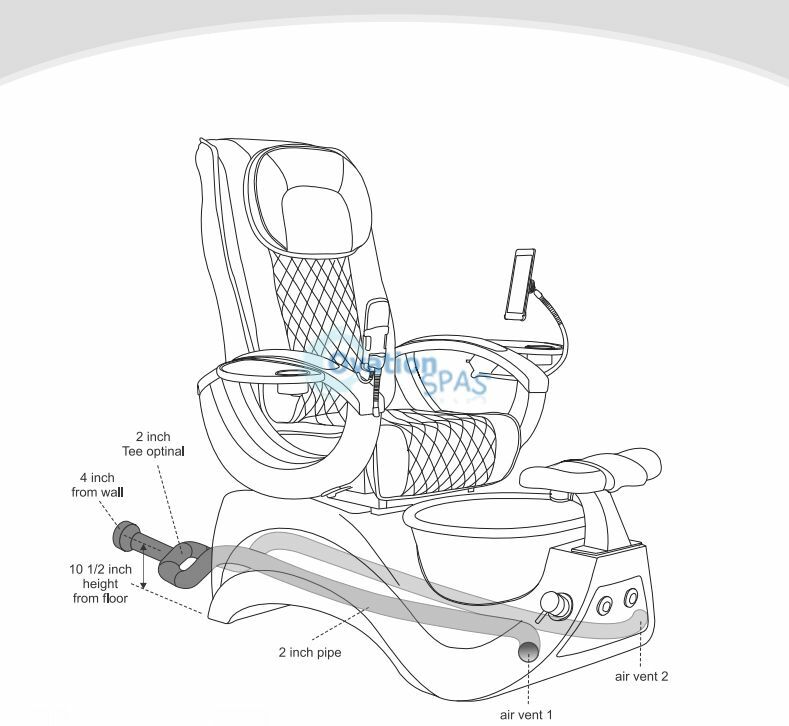 Whale Spa’s premium Caresst™ Massage, USB outlet, and technician power seat controller are included. 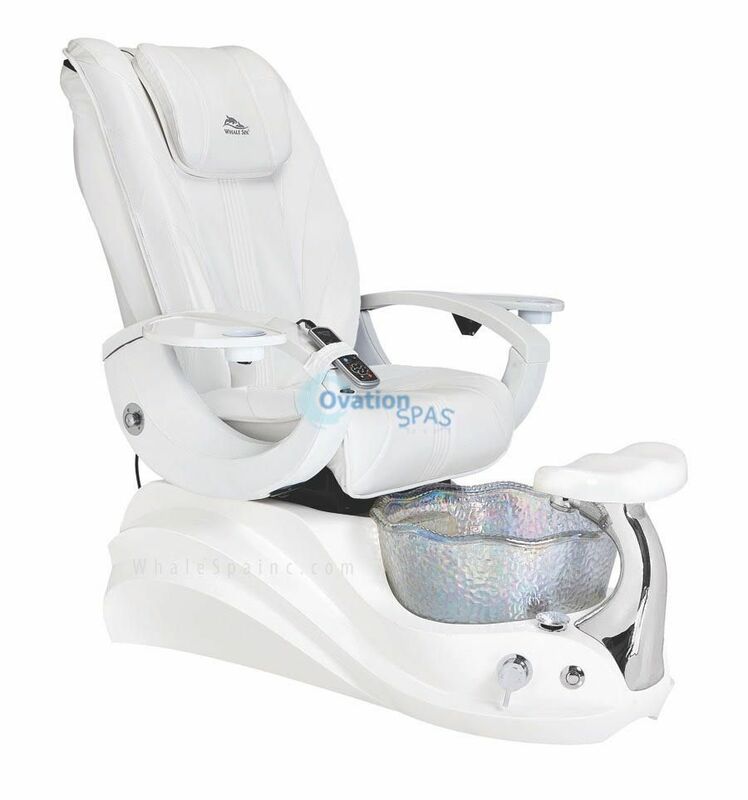 This special White Edition also features high gloss white enamel finished wood armrest tops and trays, luxurious white Enduro Leather™ wrapped armrests and seat back, as well as a matching Whale Spa Chevron pedicure stool.